Bounce House Rentals in Baltimore, MD | Party Palace Rentals, LLC. 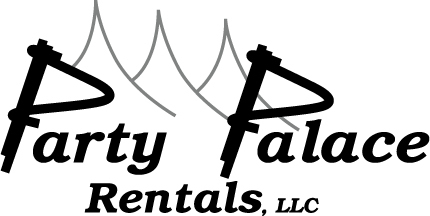 At Party Palace Rentals, LLC, we want to make your next outdoor party is something to remember. Our truly gorgeous bounce house rentals in Baltimore, Forest Hill, MD, and the surrounding areas, and equipment rental for outdoor will add that bit of flair you have been looking for. We offer an assortment of bounce house rentals in baltimore md. In addition to the rental cost, all inflatables rented will require a $50.00 deposit. *Any objects found in the unit. *Any use of silly string or other types similar in the unit. *Any of your personal belongings found in the unit. *Unit was returned wet because the cover tarp provided wasn't used. *You must provide a 20 amp circuit for the blower to run properly. *You must provide A/C power within 50' of the blower. By not adhering to these conditions, you impose a threat for the equipment to get damaged. LOOK, READ and FOLLOW the posted rules. FOLLOW instructions of the ride operator. KEEP hands, arms and legs inside at all times. USE safety equipment, such as seat belts and shoulder harnesses when provided. READ and FOLLOW the posted instructions. FOLLOW instructions for boarding and disembarking from the ride. REFRAIN from distracting or hazardous behavior to yourself or others. WATCH while the ride is in progress to monitor your child’s safety. OBSERVE the operator’s awareness of the operation and patron reaction. EXPLAIN appropriate and safe behavior to the child, such as remaining seated, keeping hands and feet inside the ride and following the operator’s instructions. ASK the operator to stop the ride if your child cries or displays signs of distress. If you see an amusement ride that does not appear safe, or you observe an operator that does not comply with safety guidelines, notify us immediately. Pick a location free from overhead electric power or telephone lines. Location should be free from trees and could damage or strain the inflatable. An unobstructed area should be maintained for 5 feet around the perimeter of the inflatable. Contact all utility companies and have all underground lines properly located so no accidental contact occurs when driving stakes into ground. Keep the front of the inflatable clear and accessible at all times. Place the ground liner over the site where the inflatable will stand. Remove unit from the carrying bag. Unroll and position the inflatable on the liner with the inflatable tubes locating toward the rear of the area. Note: The inflatable is rolled up in the bag in such a way that you need to start in the back and roll toward the front. This makes it easier to install the remaining parts. Once unrolled, the unit is folded in threes like a tri-wallet. Open the inflatable to expose the entire unit. Each corner of the inflatable will have tethered lines/rope/D-Rings to secure to a stake. The kit includes four (4) 18” j-stakes to secure the unit. Tie off each corner with a stake and hammer the stake into the ground. The best way to secure the inflatable is to start, is to stake one corner then proceed to the opposite corner and stake. This would be diagonal. Each inflatable has two (2) inflation/deflation tubes that reside in the rear of the unit. Attach and secure the blower to one of the inflation/deflation tubes straps. Chock-off and secure the other Inflation/deflation tube strap to its self. Please Note: The placement of the blower must be free to receive intake of air. Connect the 12 gauge/50’ extension cord that is provide to the blower. Note: It is required that each blower may require a 20 amp / 110 volt circuit. Turn the blower on. The inflatable will take 3-5 minutes to inflate. Please check the surrounds prior to use. Each entrance to the inflatable bounce has safety clips that must be secured when unit is being used. Some inflatable units have built-in steps and other have a detachable step that must be placed in front of the unit to access the ride. Check the stakes regularly to ensure they are tight. Check the blower and inflation tube regularly to ensure there isn’t any excessive air leakage. The 13’x13’ inflatable has a maximum of 6-8 riders at one time. The 15’x15’ inflatable has a maximum of 8-10 riders at one time. The larger the person, the lesser the number of riders. If a GFI is required, please check prior to use of inflatable and during the use. Prohibited excessive roughhousing by riders. Prohibited use of shoes. Observe all maximum occupancy rules. Keep inflatable clean and dry at all times. If the inflatable gets wet, remove riders and dry unit as soon as possible by blowing air through the unit. DO NOT ALLOW CHILDREN OR ADULTS NEAR THE REAR OF THE UNIT NEAR THE ELECTRIC BLOWER AT ANY TIME. Do not inflate in high winds or rain. Unload all occupants/riders and deflate the inflatable if winds become excessive. Use the adequate extension cord provided by Party Palace. DO NOT USE ANY OTHER TYPE OR EXTENDED CORDS. This could cause the blower not to receive the proper voltage and may be damaged. Never cut or remove the round grounding pin from the cord. Always connect the GFI to the extension cord before plugging into the power source. This reduces the possibility of arcing the GFI contacts. Check the GFI at least once during operations. Obtain marking and location information from the utility company if there is a possibility of underground utilities. Ensure there are no underground irrigation pipes, electric wires, gas lines, telephone lines, cable, or FIOS lines that the utility company or property owner may not have installed. Limit the riders to the numbered specified in the operating instructions. Always ensure that there is adequate clearance around and above the ride. Never roll-up or package the inflatable wet. Never us chlorine based cleaner or bleach to clean, as this may damage the thread or vinyl. If power should stop at any time during use, riders need to evacuate immediately. Since the inflatable will deflate rapidly, ask the riders to sit down, and have a responsible adult evacuate each person individually. Make sure no one is in the inflatable. Turn off blower and unplug from power source. Loosen inflation/deflation tube straps. One should be attached to the blower. The air inside the inflatable will start discharging more rapidly. Once the inflatable is completely discharged of air, remove the j-stakes from each corner. With the inflatable completely deflated and unsecured to the ground, fold the unit into threes as shown in the attach diagram. After the fold, step on the inflatable to try to get the balance of the air out of the unit. Roll the unit from the front to the rear toward the inflation/deflation tubes. This will allow all of the air to come out. Tuck inflation/deflation tubes into the roll and attach the two (2) straps to the entire unit to secure. If properly deflated, the unit will fit in the storage bag. See attach diagram. Reverse steps 1 thru 4 for deflation. DO NOT HESIATE TO CALL IF YOU DO NOT UNDERSTAND THESE INSTRUCTIONS. Rentals for All Occasions in Maryland, DC, and surrounding states. Contact us at 410.836.0085 or fill out the form for more information about our party rentals and services from tent rentals in Baltimore, and inflatables and games to tables and chairs and surrounding areas.